Active adults and retirees generally don t think of Ohio when looking for a retirement destination due to its cold winters and industrial areas. Adults 55 and better and retirees should consider retiring in an Ohio age-restricted community because of its relatively low cost of living, scenic lakes, recreation options, and culture. Columbus is Ohio s state capital and its largest city. US News listed Columbus, Ohio as "America s Best Affordable Places to Retire." 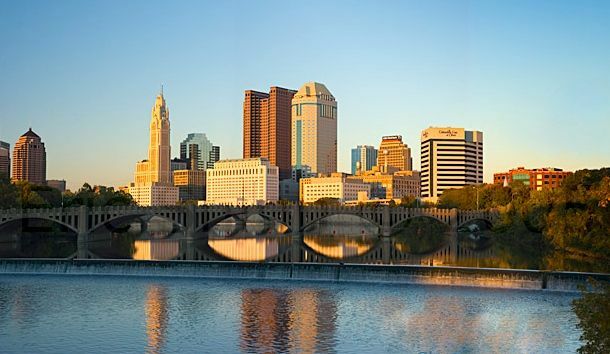 Situated along the winding shores of the Scioto River, Columbus has made a name for itself as home of the Ohio State University Buckeyes and the headquarters of major corporations like Nationwide Mutual Insurance and Bob Evans Farms. Other major cities, such as Cleveland and Cincinnati offer 55+ and retiree s city-life action and fun-filled attractions that are nearby active adult communities. Smaller towns like Mentor, OH attract adults 55 and better due to its booming biomedical and health manufacturing industries as well as its wine country. Active adult communities in Ohio enjoy the humid to humid subtropical climate, depending on the region and season. South Ohio has typically hot summers due to Ohio s Bluegrass section. Winters range from cool to cold. Ohio is located in the Tornado Alley region and severe lake effect snowstorms tend to be common on the southeast shore of Lake Erie in the Snowbelt region, making winters harsh. Ohio is bordered by Lake Erie on the north, which gives Ohio about 312 miles of coastline. Lake Erie is a top tourist attraction for many active adults and retirees because of all the boating and fishing activities available. The Sandusky Bay and Sheldon Marsh State Nature Preserve also attract many adults 55 and better who love the outdoors and nature. Along the southern border of Ohio is the beautiful Ohio River. Ohio is bordered by Pennsylvania to the east, Michigan to the northwest, Ontario Canada to the north, Indiana to the west, Kentucky to the south, and West Virginia to the southeast. Active adults love living in 55+ communities in Ohio due to its culture, entertainment, and recreational opportunities. Ohio is home to many museums, sporting events, state parks, scenic lakes, and historical attractions. Some popular attractions include The Rock and Roll Hall of Fame, Cleveland s Playhouse Square Center, Allen Memorial Art Museum, the Oberlin Conservatory of Music, Hocking Hills State Park, Wright Brothers National Memorial, Cincinnati Museum Center, Fountain Square in Cincinnati, and the Cleveland Museum of Art. Ohio ranks third in the nation s industrial field. Some of the most important manufacturing industries are located in Ohio and are located near some of Ohio s major cities, such as Akron, Canton, Cincinnati, Cleveland, Dayton, Youngstown, and Toledo. Some of the items coming out of these manufacturing cities include rubber, roller bearings, jet engines, machine tools, auto assembly, auto parts, steel, office machines, and glass. Ohio's cost of living is 6.9% below the national average. But income taxes can be as high as 5.9% and estate taxes as much as 7%. Social Security and Veteran Affairs benefits are not taxed, and Ohio doesn t have an inheritance tax. Median home prices in Ohio are about $133,700 and housing prices continue to fall, which make it affordable for active adults and retirees looking to purchase a home in active adult communities in Ohio. Residents 55 and better love the great healthcare facilities available near Ohio age-restricted communities. Active adults have access to Cleveland s top-rated healthcare facilities as well as a variety of healthcare options throughout Ohio. Some of the best hospitals in Ohio include Cleveland Clinic, University Hospitals Case Medical Center, Bethesda North Hospital, Ohio State University Wexner Medical Center, and Akron General Medical Center.